Imagine cozy hearths, happy yarn companions and helpful classes. Add a few happy hours, healthful food and hilarious late night capers. And don't forget a delightful Yarn Market, door prizes and divine runway shows. What do you have? The Studio's Annual Winter Retreat. You don't want to miss it!! The Retreat promises to be a weekend full of all things yarn, learning and hanging out with folks who share our passions for our crafts. The Historic Aladdin Hotel 1215 Wyandotte St, KCMO 64105 This beautifully restored Art Deco hotel in downtown Kansas City is on the National Register of Historic Places and features a hip design and vintage style as well as upscale amenities. You can earn and use IHG points at this hotel. or visit https://book.passkey.com/go/dd0140e0 to make reservations. These rates are good through January 5, 2019, at noon. Valet Parking available for $18/day at the hotel. You may also park in the Municipal Auditorium Garage which is across the street. There is an underground passageway to the hotel. Street parking and private lots are also in the area. Get creative - carpool, park & ride, Uber/Lyft or drop off. There are many ways to get there. Sarah is a designer, teacher, and technical editor. 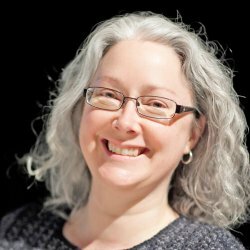 She teaches at local yarn shops and guilds, for regional and national conferences, and on Craftsy. 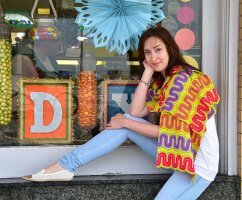 Sarah's passion is making knitting accessible to everyone. She is known for the patience and humor with which she teaches, for the relevance and detail of her class notes, and for her ability to instill confidence and provide her students with a wide range of lasting skills. 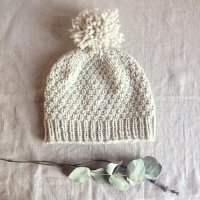 Have you ever taken the time to LOOK at your knitting? Which way do your stitches face? Are you on the right side or the wrong side? How many rows have you worked? Did you remember to decrease in the previous row? Let’s SLOW DOWN and learn the anatomy of a stitch, then study the fabric below the needles. Sarah has some tricks to help you discover what you’ve done and where you are, and to keep track going forward. 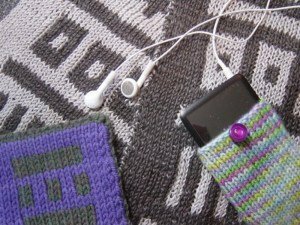 In no time at all, you’ll be a smarter, more confident knitter! Cast-On Party - 3:30-5:00 Be among the first to meet our guest instructor, Sarah Peasley. Everyone will get started on a Mystery Cowl pattern. See supply list to have the right supplies. 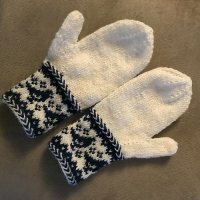 Double knitting is pure magic. Using one method, a piece worked flat opens up as if it had been knit in the round. Using another method, the image created on the front of the fabric will appear in reverse image on the back. 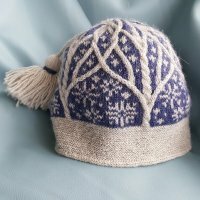 Learn both methods to create a small bag and a two-sided coaster, while practicing appropriate cast-on, bind-off, and chart-reading techniques. 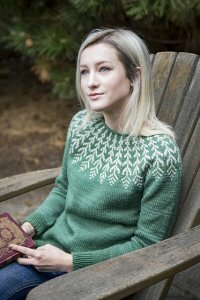 Designing a sweater from scratch? It’s easier than you think! 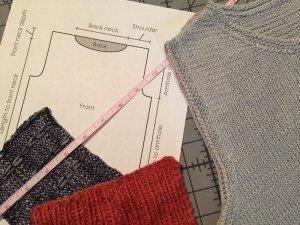 Learn the basics of creating your own pattern from a gauge swatch and a few simple measurements (don’t worry — only one actual body measurement will be taken!). 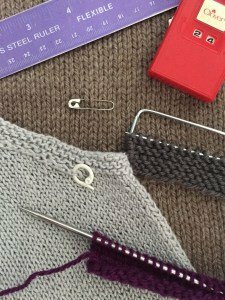 Plan a garment that fits the way you want it to, using a yarn that you love. 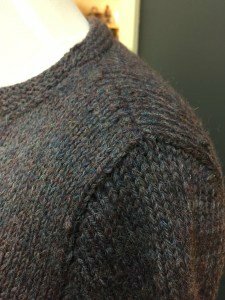 You’ll write patterns in class for a simple sleeveless shell or vest and a dropped-shoulder cardigan. Some experience knitting from a pattern will be helpful, but not necessary. 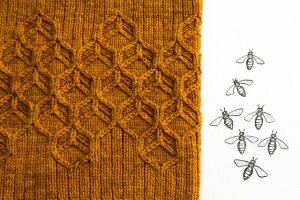 This class is intended for advanced beginners who are curious about modifying an existing pattern or creating their own.